A weekend is not a weekend if you did not went out and eat something NEW! I had never been a foodie but after marriage or let's say after I started cooking, my love for food has increased. I love trying new restaurants and last Sunday we (of course yours truly and Mr MBT!) went to Ohri's 100 Degrees. 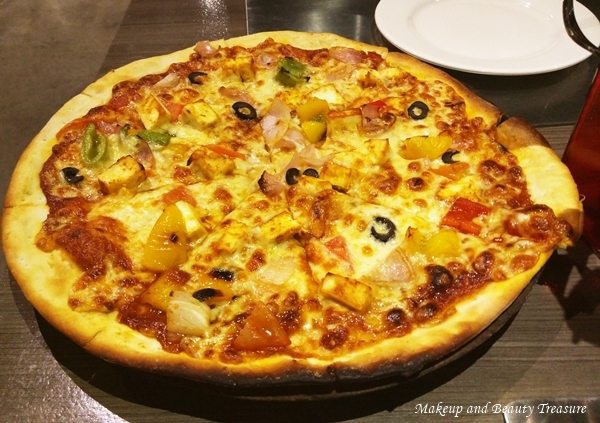 This restaurant serves not only sizzlers but pizzas, pasta, desserts and more! I was instantly impressed by the ambience and friendly staff! I went ahead and ordered sizzlers and pizza! Let me tell you these 2 items were more than sufficient for 2 persons! I love sizzlers to the core! We were asked to choose the base out of noodles or rice. We both are fond of noodles so ordered noodles as base. The sizzlers were served with club cutlet, noodles, french fries and sauted mushrooms. The cutlets were very yummy but the noodles were totally bland! I wish they had mixed it with some spices or sauces for it to taste better! 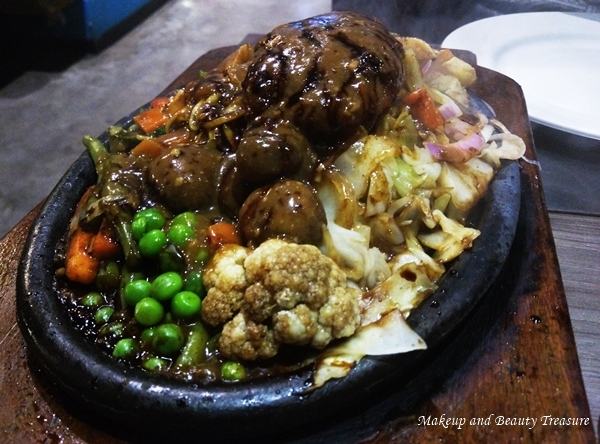 I would not say it was the yummiest sizzlers I have tried but this is just my humble opinion. I would love to try a new variant next time! Definitely one of my favorite pizzas! Overall I had enjoyed dining at Ohri's 100 Degrees! Though the sizzlers I ordered was not extra special and yummy but the pizza was very tasty! The ambience was very beautiful and the staff and servers were extremely friendly and helpful that makes the dining experience all the more wonderful! I would love to visit again may be to try other variety of sizzlers and of course the super yummy pizza! Have you tried Ohri's Restaurant? What is your favorite dish? The pizza looks so yummy. It tasted so yummy!!! I am craving for more!!! Hi Revathy yes I had moved to Hyd after marriage. Was planning to ping you on FB but always forget!